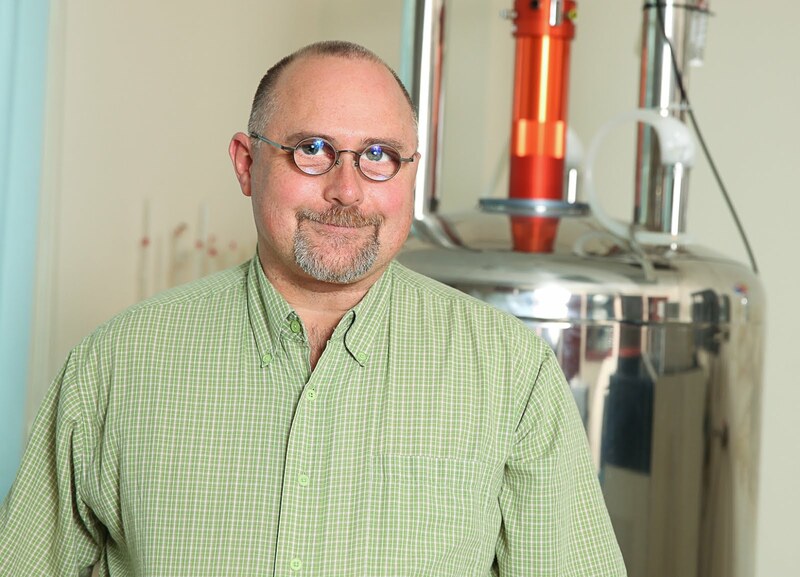 In previous posts on this BLOG, examples of 1H/2H and 12C/13C isotope effects were discussed. 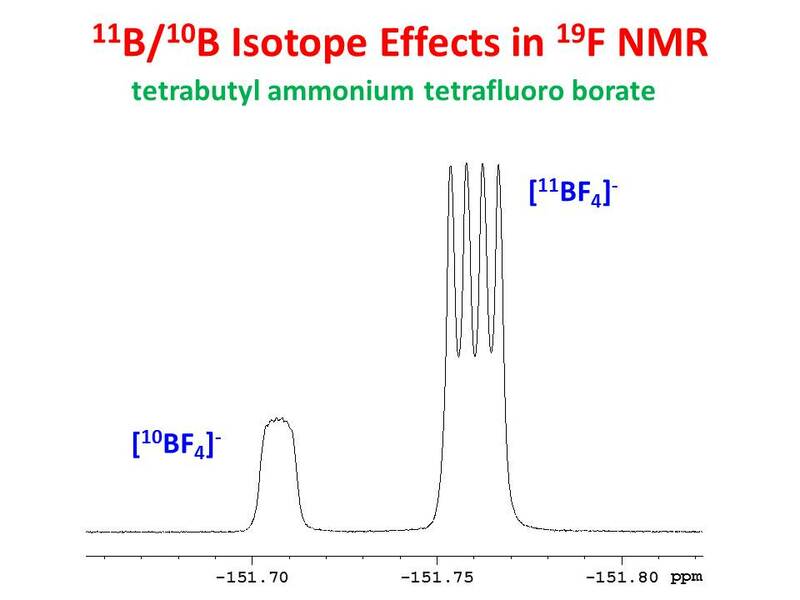 The figure below shows an example of a 10B/11B isotope effect observed in the 19F NMR spectrum of tetrabutyl ammonium tetrafluorobarate. The spectrum clearly shows two resonances separated by 0.05 ppm with an intensity ratio of approximately 20:80 corresponding to the natural abundances of 10B and 11B, respectively. The low frequency resonance is due to 11BF4-. Since 11B is a spin I = 3/2 nuclide we observe a 1:1:1:1 quartet with J = 1.25 Hz corresponding to the one bond 19F - 11B coupling. The high frequency resonance is due to 10BF4-. Since 10B is a spin I = 3 nuclide we observe a very poorly resolved 1:1:1:1:1:1:1 septet with J ~ 0.4 Hz corresponding to the one bond 19F - 10B coupling. I am a bit confused, why does the natural abundance of boron have such a profound impact on the chemical shifts in the 19 F spectrum? Also, I have recently obtained the NMR of an organic trifluoroborate salt. I see the very similar 1:1:1:1 quartet corresponding to the 3 fluorine atoms and their coupling to the B11. However, the analogous peak corresponding to B10 is not present. 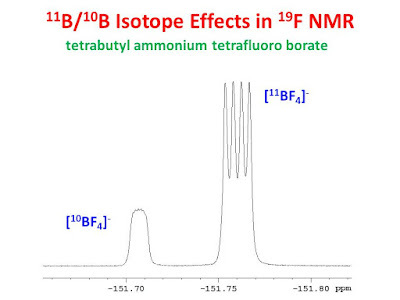 If you do not see the 11B/10B isotope effect in the 19F spectrum of your compound, it could be that the line width of the 19F resonance exceeds the isotope effect. Is there a small "shoulder" on the high frequency side of your 1:1:1:1 quartet? Is the signal-to-noise ratio sufficient to see the smaller signal?